If you have ever rented a canoe in Winnipeg, chances are you have rented from Wilderness Supply. Well, we’ve got very exciting news: the prominent local outdoor retailer has just relocated to the West End! 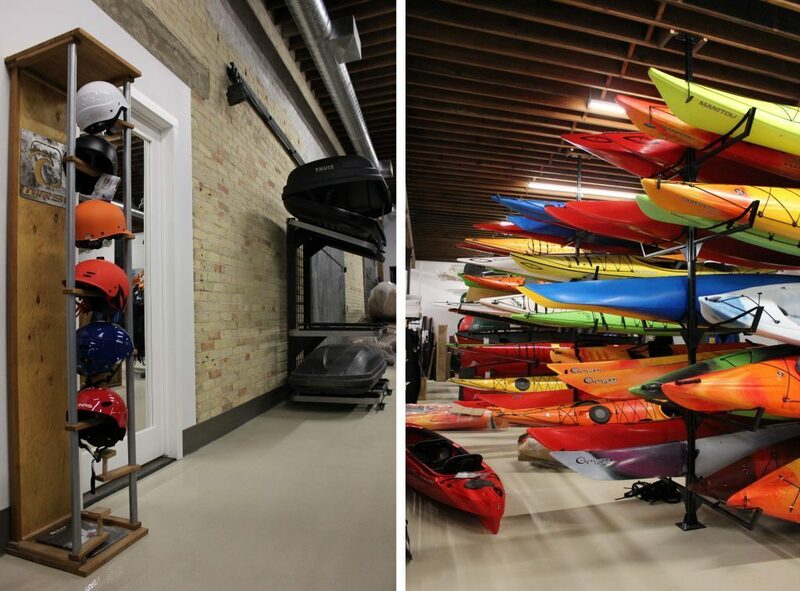 According to owner Rick Shone, Wilderness Supply is the biggest canoe, kayak and stand-up board supplier in Winnipeg. Of course, you don’t become the local go-to for outdoor gear without developing a philosophy behind the goods you’re selling. Rick believes in mindfulness when making a purchasing decision. “I’m the type of person that really wants to think a lot about what I buy and why I’m buying it. It has to have a specific use. It sounds a little funny coming from a person in retail – but that’s how I prefer to think,” said Rick. Walking into Wilderness Supply, you can tell the inventory has been carefully chosen. It’s the kind of place that has that quality item you know is going to make your next outdoor trip just that much better. 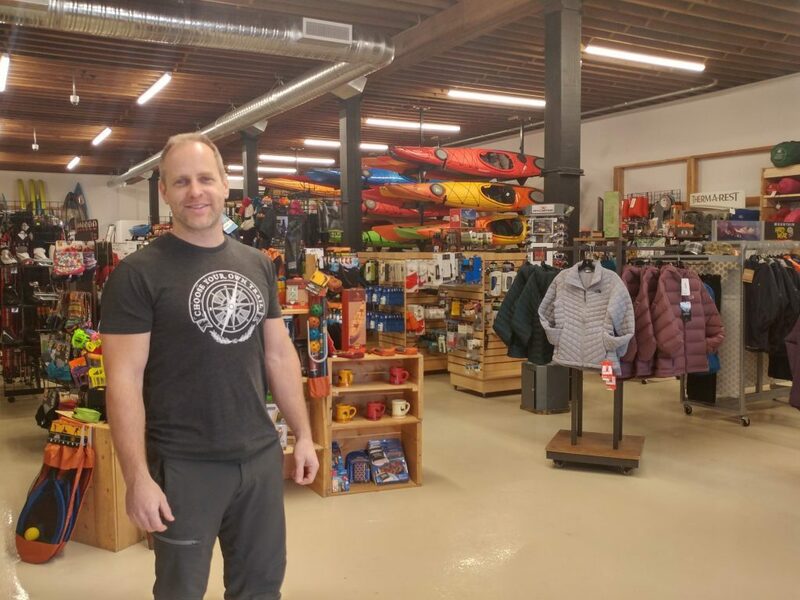 Whether it’s comfortable hiking shoes, the right ski wax or a lighter canoe for your next expedition, Wilderness Supply is the place to improve the quality of your next adventure or to get the right gear for your first foray into the great outdoors. Wilderness Supply first opened in 1995 and Rick has been with the company since 2001. Rick has always been an avid outdoor enthusiast: beginning in childhood when camp was a summertime staple, to adulthood spent canoeing in northern Manitoba and backpacking around the world. Just a quick stop at their brand new location on Isabel Street and you will see for yourself the passion for the outdoors. The products at Wilderness Supply are all meant to facilitate the perfect outdoor experience. Beyond the canoes and kayaks, you will find quality outerwear, backwoods trekking supplies, cross country skis, snowshoes, climbing gear and so much more. “First and foremost we love the gear – and we love having conversations with people and hear what they’re doing with the gear,” said Rick, who also sees himself and his staff as outdoor experience facilitators. By sharing their collective decades of trekking knowledge, the folks at Wilderness Supply are channeling their passion to their customers. While the business has been around for over two decades, it’s new to the West End. The location at 50 Isabel Street had actually been on Rick’s mind for a while – he first stepped into the space a little over six years ago. The brick walls and the wood trusses gave the interior a gorgeous rustic warehouse look. Rick spent about a year modernizing the building, but he made sure to keep the heritage touches. The striking ceiling was refinished to bring out the historical charm and two giant shipping doors were left in place and remain fully operational. If you’ve never stepped into Wilderness Supply before, you’re sure to discover something that will kindle that excitement for exploring the outdoors. If you’re already a loyal shopper, you will find the new central location more convenient than ever before. Stop by and check out Wilderness Supply at 50 Isabel Street.